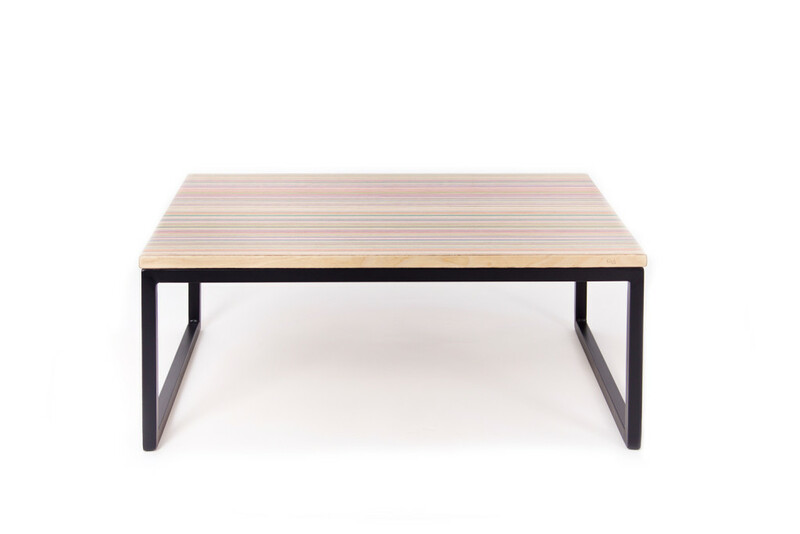 This colorful coffee table is the little brother of the DecksTop. 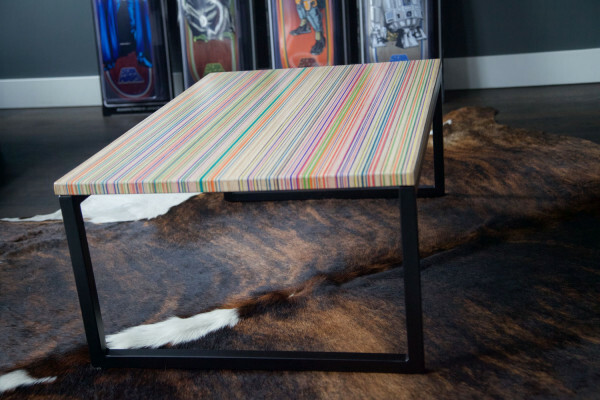 The top is made from skateboard decks collected at local skate stores and factories around Europe. 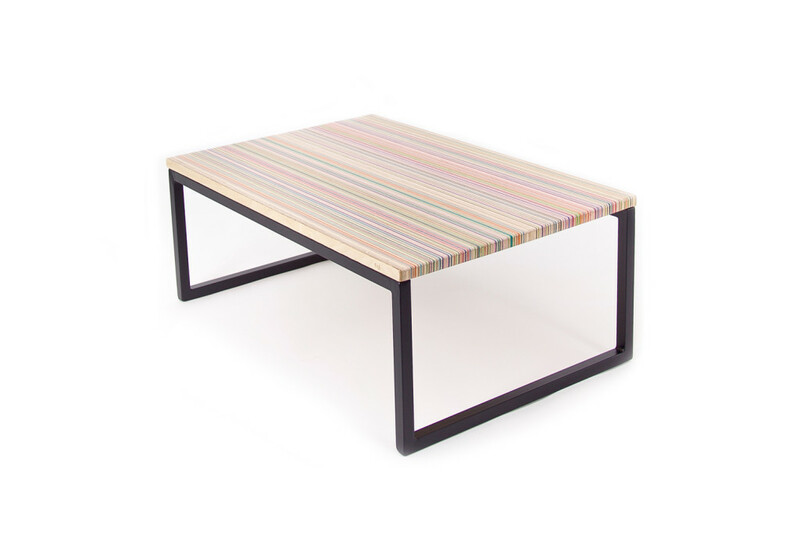 It rests on a black powder coated steel frame. 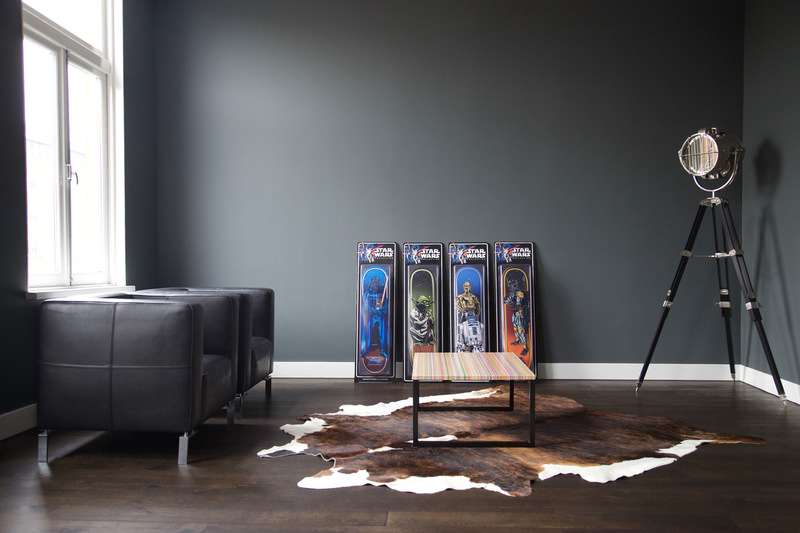 We work only with wood that has a sustainable forestry label. 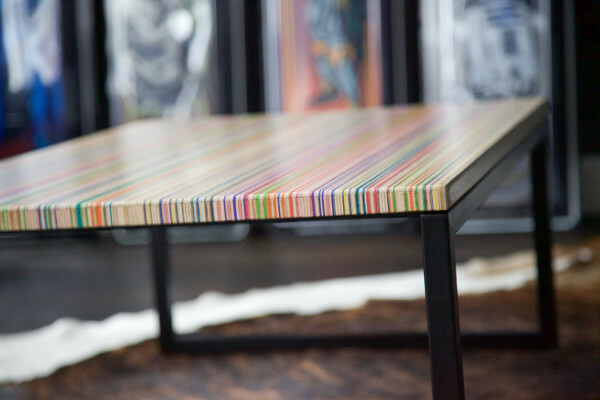 DecksTop Mini 40: 90x60x35 cm, constructed from 40 skateboard decks. 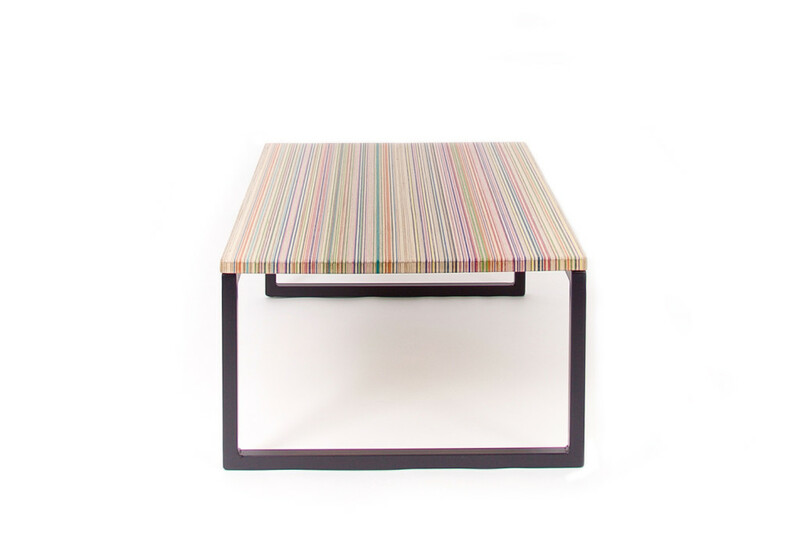 DecksTop Mini 60: 120x60x35 cm, constructed from 60 skateboard decks. 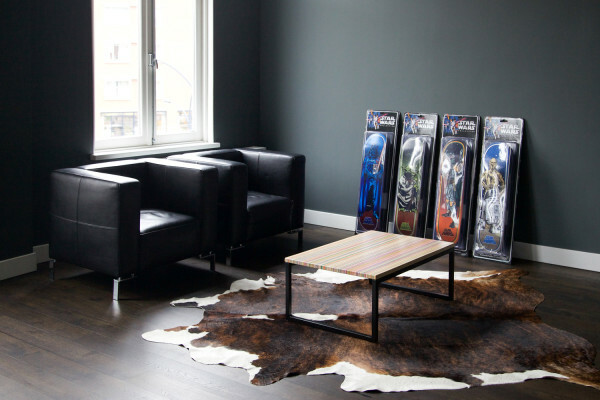 Skateboard decks are constructed from sevenply Canadian maple wood. One of the lightes and strongest woods in the world. By recycling skateboards, we combine the colorful look and the strengt of sevenply maple into sustainable furniture designs. 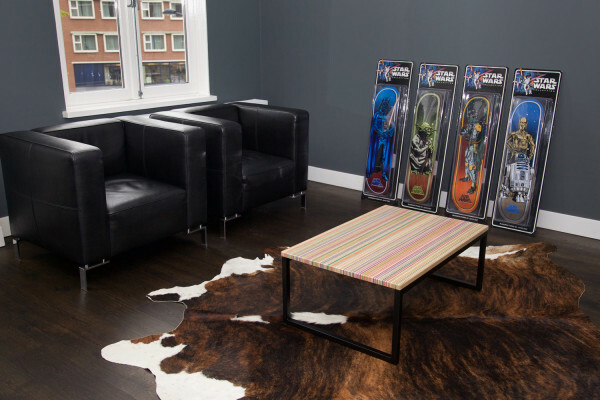 The colors of every DecksTop Mini™ table are unique and dependent on the available skateboards that have been collected. Specific color variations cannot be guaranteed. We can guarantee every single DecksTop Mini™ will be a unique piece of art.